Hope's Cafe: SGSG-Joy Factory iPad Folio360 Review!! The Joy Factory specializes in iPad and iPhone accessories, such as cases, mounts, stands and power supply. I received a really neat case for review; the Folio360. While this is a beautiful case, it has many unique features that really make it one of a kind. I was impressed with the synthetic leather cover, with a snappy looking metal clasp. It provides complete protection, and is the perfect way to keep your iPad safe while traveling. What really makes the Folio360 so great though is the ability to swivel your iPad for viewing in any direction! It rotates a full 360 degrees! 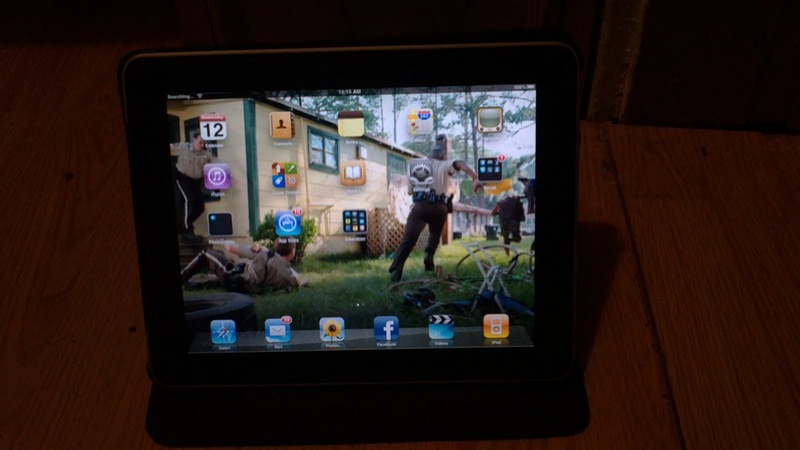 You can also stand the iPad up at a variety of angles; just choose what fits your needs best. The piece that actually clips onto your Pad can also be popped out of the leather case. 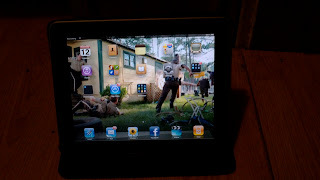 This will then snap into a mount (not included) so you can move your iPad from case to mount/stand without any trouble. The iPad Folio360 is honestly the nicest iPad case I have ever seen! "The Folio360 iPad Case and Stand from The Joy Factory will set you spinning! Rotate your iPad a complete 360 degrees for maximum versatility and comfort in either portrait or landscape mode. Or, leave it in the stylish cover—it converts to a non-slip stand for comfortable viewing and typing anywhere. The flexible stand lets you adjust your viewing angle from 90-165 degrees, so you can work or play in comfort, wherever you use your iPad. Are you a road warrior? The Joy Factory’s Snap-n-Roll™ designs lets you easily snap the case into car, wall or desk mounting systems for comfortable, hands-free viewing. Just remove the inner-tray and snap it on. Plus, the Folio360’s magnetic closure snaps shut to completely protect your iPad no matter where or how you carry it—even in a briefcase or luggage. For complete line of mounting accessories compatible with this item, please click here." Disclaimer: I was not monetarily compensated in any way for this post. I did receive product for the purpose of review. All thoughts and opinions are mine. All quotes taken from the Joy Factory website. I had seen a stock photo of this but it looks a lot nicer in your post. I was thinking about getting my cousin a pounch for hers, but this one seems so much better.